We’ve all likely heard of whiplash before. However, if you’ve never actually experienced this type of an injury, you can never truly appreciate the pain and length of rehabilitation that can often be related to it. It is a nasty injury that usually takes a long time to get over. So what is whiplash? 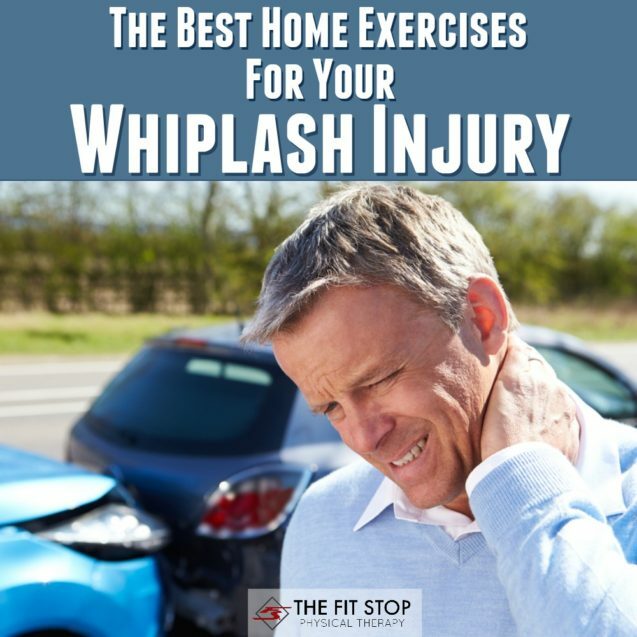 What are the best exercises after you have suffered a whiplash injury and what can your physical therapist do to help speed the recovery process? Today on the Fit Stop blog we’ve got one of our spine specialists, Toby Bluth, PT, DPT, answering those questions and sharing with us some of the best exercises for rehabilitating your neck.